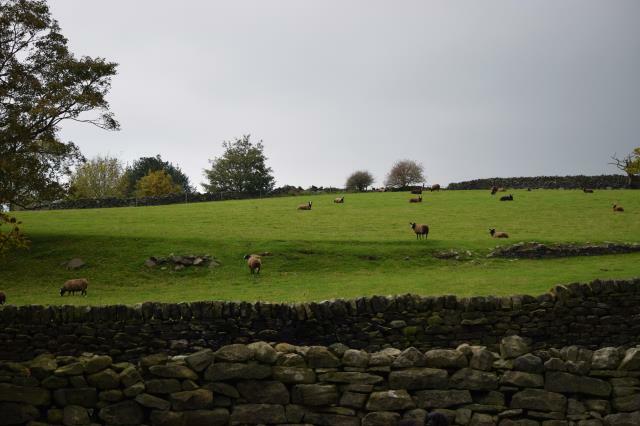 On the 21st October 2018 the Zwartbles Sheep Northern Branch had a flock visit to Lady Close, Bingley, West Yorkshire, home to the Greenhill and Bingheleia flocks of Martin and Harry Preston. The rain stayed away and about 30 members from all over the Northern area were in attendance, whom were welcomed with great hospitality a cup of Yorkshire tea and an abundance of cakes and goodies. Martin then gave us the history of his flock and how the Greenhill Flock was established in 2002 with the purchase of two ewe lambs from the now dispersed Beckside Flock of Mike and Kate Sands, from nearby Micklethwaite. These were Beckside Hermione and Beckside Henrietta. To this day no other females have been bought in and bred lambs for his flock. Martin then went on to give a very interesting history of the rams he has used over the years from Kilimanjaro to Greenhill Blakeney whom was on display at the event, and still looking great. There was also a Charollais x Beltex ram on display and there was a competition to guess his weight which was won by Christine Slee. Martin and Harry then took members on a walk round the sheep starting with some very smart Zwartbles Ewe lambs and a couple of Zwartbles x Charollais Ewe lambs admiring the panoramic views along the way. Next, we viewed the Charollais Flock which included some Zwartbles x ewes and then onto the pedigree Zwartbles Flock which Martin and Harry were happy to answer any questions on their breeding and which ram they were all in lamb too. 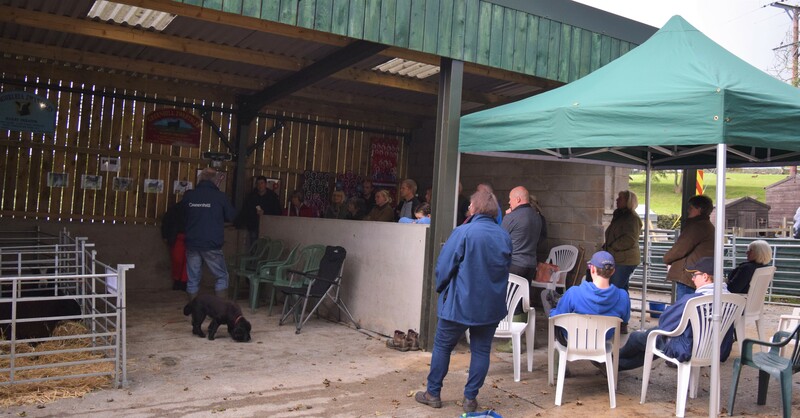 Then we all headed back to the sheds for more refreshments and the raffle. After the raffle was held, we all headed to the nearby Five Rise Locks Hotel for the branch AGM, the Young Ambassadors Competition Results and the 2018 Flock competition results, which then followed on with a lovely meal.